In today's age of overwhelming superstition, irrationalism and conspiracy theories, it's easy to forget that, while science may be a de facto second-class citizen, intellectuals throughout history have largely succeeded at reconciling it with the humanities. At the dawn of European humanism, for example, Florentines believed that reading Dante while ignoring science was ridiculous. Leonardo da Vinci and Michelangelo both recognized the great importance of understanding science, technology and engineering. This tradition has carried over to this very day, as showcased by John Brockman's Edge, an intellectual forum that showcases the work of prominent scientists and philosophers. 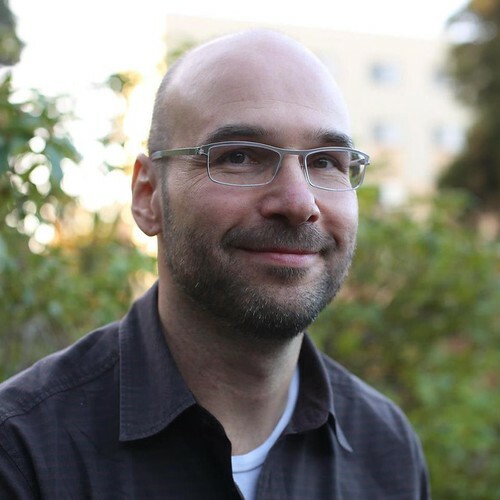 As Brockman says, "the idea of embracing humanism while remaining ignorant of the latest scientific and technological achievements is incomprehensible." 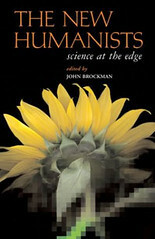 To reinforce the idea that the humanities and science need to continue having a constructive dialogue, Brockman, whose books include The Next Fifty Years: Science in the First Half of the Twenty-first Century, has published his latest work, The New Humanists: Science at the Edge, a compilation of excellent and thoughtful articles produced by his Edge contributors. By bringing together some of the best scientific minds of the 21st century, and by keeping a firm eye on the future, the book puts Brockman's ideas on the evolution of modern thought to the test. For those who enjoy following the works of today's leading scientists, The New Humanists boasts an impressive roster of thinkers, including Martin Rees, Lee Smolin, Steven Pinker, Daniel Dennett, Marvin Minsky, David Deutsch and Jared Diamond. For those interested in futures issues, there are articles by Ray Kurzweil, Hans Moravec, Jaron Lanier and Rodney Brooks. The thinkers bring their specialties to the table and individually discuss their unique contribution to the development of science and modern thought, touching upon such topics as evolutionary biology, cosmology, cognition and computer science. The book itself is divided into three major sections: "Homo sapiens," "Machina sapiens?" and "Evolving Universes..."
As far as the futurists go, Ray's Kurzweil's "The Singularity" is by far the most pertinent and provocative. Conversely, Jaron Lanier's tired refutation of cognitive computationalism is an annoying blip in an otherwise solid book. Those who follow biology and anthropology will find Richard Wrangham's "The Evolution of Cooking" to be a wonderful gem. Among other things, Wrangham postulates that humans may in fact be a pedamorphic species—a species that has been domesticating itself and selecting for culturally advantageous traits such as cooperativeness. And after reading the "Evolving Universes..." section, you'll truly be left with the feeling that we are, as Alan Guth asserts, in the midst of a golden age in cosmology. Indeed, as recent insights into such things as the accelerating Universe and string theory show, our conceptions of the cosmos are changing on a nearly yearly basis. The final section of the book is an open discussion of Brockman's "Third Culture" theory of modern thought. The arguments and discussions that ensue are particularly engaging and certainly an unexpected high point of the book. The scientists discuss everything from the limitations of science to the problems of reductionism to issues of political correctness and the need to separate science from politics. It's particularly absorbing to follow them as they argue amongst themselves. The New Humanists is a satisfying, stimulating and quick read. The section on cosmology may be on the challenging side for some readers not versed in its related complexities, but all in all it's an accessible and nontechnical read. Ultimately, as Brockman asserts, the work of humanistic scientists affects "the lives of everybody on the planet." As the world we live in increases in complexity with each passing year, and as fewer and fewer people seem interested in understanding how it all works, Brockman's conclusion is as much a keen observation as a plea for greater acceptance of the work done by today's scientists. This column originally appeared on Betterhumans, June 24, 2004. Tags: science, third culture, humanism, book reviews.